We are living in the “right-now economy.” Modern enterprises need to differentiate themselves via highly engaging applications. But differentiation is getting harder and harder to accomplish, especially in todays multi-cloud and hybrid cloud environments. To stand out, you need a real-time, scalable, always-on distributed cloud database that can deliver the data agility, flexibility and governance needed for game-changing, customer-facing applications. Join Shubhra Sinha, VP of Strategic Initiatives at DataStax to learn how companies such as Macquarie, TCF Bank, and Capital One use a translytical data platform to help their organization innovate with geo-distributed data across cloud environments to deliver a faster time to market and achieve amazing results. Shubhra Sinha is Vice President, Strategic Initiatives at DataStax and leads the go-to-market strategy for Customer Experience at the company. With her enterprise software background leading global programs across Digital Transformation, Enterprise Mobility Platforms, Emerging Solutions, Smart & Digital Communities, and Software-as-a-Service, she is passionate about driving business value for customers by effortlessly bridging the business and technology divide. Shubhra has over 30 years of business and marketing experience. 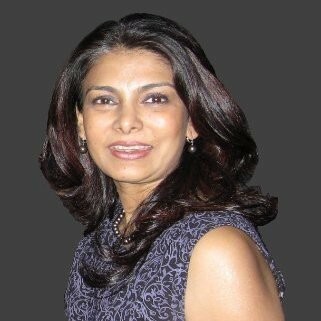 Most recently before DataStax, Shubhra was VP, Strategic & Partner Marketing at Apigee, a Google company, and prior to that she was Managing Director Emerging Solutions at Cisco, and Sr. Director Product Marketing at HP Software. She has also held leadership roles at various leading Silicon Valley start-ups.